Chris Dawson was friendly and helpful. I wanted a driving instructor who would be available. Learning to drive was easier with Chris, he was very helpful. Chris has excellent teaching methods and i passed my driving test first time. Availability was very important to me. Learning to drive was quicker and easier than i expected it to be. Chris Dawson was very good, very effective teaching methods and i passed my driving test first time. The price, reviews and friendliness of the driving instructor was very important to me. Learning to drive was a lot more in depth than i expected it to be. Chris Dawson's teaching methods were very good, he adapts his methods to suit you. Chris was a great teacher and i passed first time. 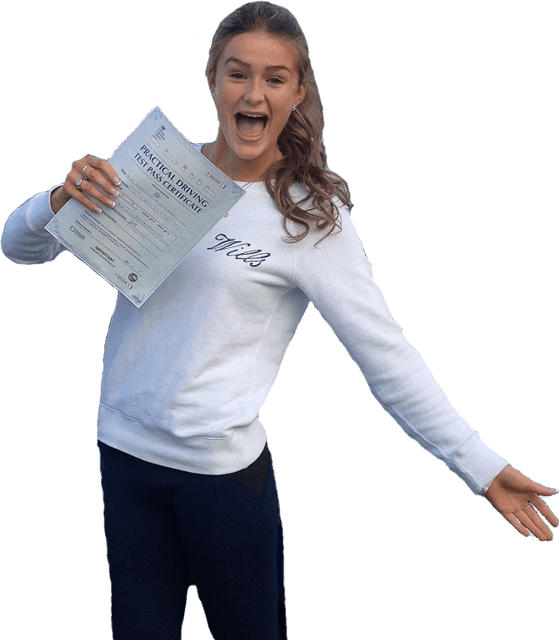 Learn Driving UK had good reviews and a great pass rate. Their prices were great too. I felt comfortable and confident at all times with Chris and i passed my driving test first time. Chris's teaching methods were brilliant and very clear. I would highly recommend Chris as he gave me the confidence i needed. Learning to drive with Peter Andrews was fun and a relaxed atmosphere. Peter is very patient and everything was brilliant. Peter was recommended to me and the cost and location were just right. I would highly recommend Peter and Learn Driving UK. Matt was experienced, professional and friendly. I chose Learn Driving UK as they were great value for money and have reliable driving instructors. Learning to drive with Matt was as good as expected. Matt's teaching methods were very good and he is easy going. Learn Driving UK lived up to expectation. I chose Learn Driving UK and Tam as my sister passed with him. Tam was friendly and calm. Learning to drive was harder than i expected but Tams teaching methods were excellent. I highly recommend Learn Driving UK and Tam to anyone. Matt was helpful, patient and understanding. I wanted a driving instructor who i could be comfortable with. Learning to drive with Matt was better than i expected it to be. Matt was understanding and patient with me and he calmed me when i stressed. I found learning to drive easy because of Matt. The most important criteria when choosing your driving instructor is the effort they put in and the patience they have with you in your learning process. Other important factors were that this school had really great reviews and there was a lot of students who passed their test. Learning to drive was exactly what i was expecting, best school in town. I found Matts teaching methods brilliant and efficient. I would highly recommend Matt, my first time driving test pass certificate speaks for me. I don't really have anything to say that would improve my experience with Matt and Learn Driving UK. Nice car, good offers. I knew people who had had lessons with Anthony. Learning to drive was easier than i thought it would be. Anthony was calm when i made mistakes, he is chilled as ever. Price and availability was very important to me. I give Anthony 5 stars.. Learning to drive was as i expected it to be. Anthony was very calm and never overly criticised. I passed first time which is great. I chose Learn Driving UK and Anthony as they are close to where i work and recommendations. I liked Anthony's profile. Learning to drive was excellent, better than expected. I would definitely recommend Anthony to anyone. I passed first time with Anthony Houseman. Availability of the driving instructor was very important to me. Anthony was a good teacher and very patient. His teaching methods were amazing, i would highly recommend him. I chose Learn Driving UK as they have such a good reputation. Availability of the instructor was very important to me. Learning to drive was much harder than i expected it to be but i passed first time. Tams teaching methods were very thorough. I would highly recommend Tam, nice car and good instructor. I wanted a driving instructor who would push me and to pass my driving test as quickly as possible. I passed first time. Tam was really good and helpful, he is very good. I found Tam to be friendly and reliable. The price was just right too. Tam is an excellent instructor. Learning to drive was just what i expected it to be, Tam made everything easy to understand. I would 100% recommend Learn Driving UK and Tam to anyone. Price, availability and reliability were very important factors to me when looking for a driving instructor. Learning to drive was harder than i expected it to be, but easy at the end with Anthony's help. Anthony's teaching methods were very good, he was calm and easy to understand. I would definitely recommend Anthony to anyone, he was very reliable. I wanted a driving instructor that made me feel comfortable and at ease. I wanted him to cover all areas with me and be patient. Anthony was great, i thought that i would struggle at high speeds but i was fine. Anthony's teaching methods were perfect, i would 100% recommend him to anyone. I chose Learn Driving UK because they had good reviews and their availability and locality was good. Learning to drive was easier than i expected it to be and thats because of Anthony. He was fantastic, i couldn't have done it without him. His teaching methods were easy to follow and very clear. I would highly recommend Learn Driving UK and Anthony to anyone, great friendly service. Top Class. I wanted a driving school that could give me the dates and times i wanted and have availability for lessons. Learn Driving UK had a really good pass rate, and i passed first time. I found learning to drive hard to begin with, but Tam was really good and explained everything. I would highly recommend Tam as he is a good teacher.